Email Signature Marketing Comedy "
Here at Sigstr, we're all about culture and having a good time. And our content reflects that (while still educating you on all of the cool things you can do with email signature marketing). 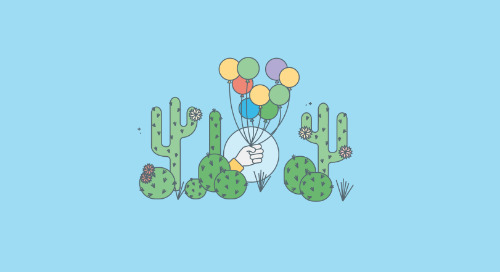 From fictional email signatures to the funniest tweets about bad email signatures, check out our collection of light-hearted content. 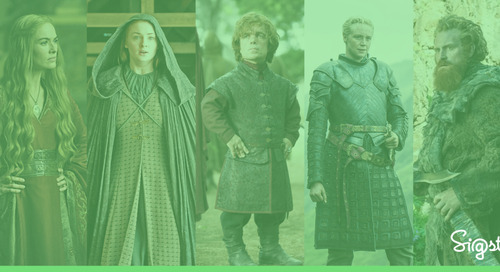 The Sigstr team builds an email signature design for five Game of Thrones characters and recaps the highs and low from season six. 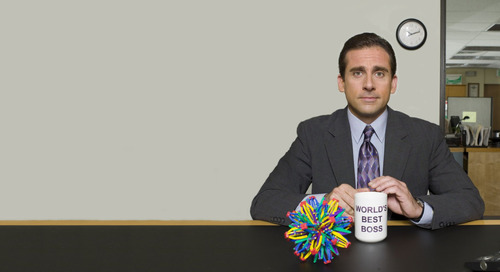 Michael Scott, Jim Halpert, Dwight Schrute all have side hustles - and if their email content was put into their signatures, here's what they'd say! 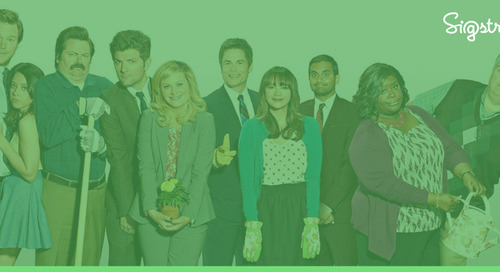 Funny email signature samples based on characters from the hit NBC show "Parks and Rec". 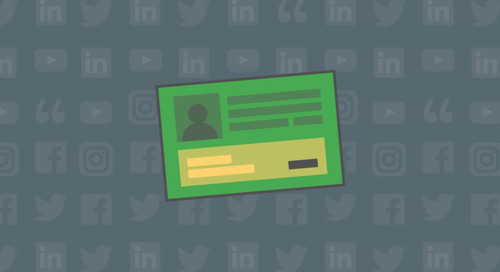 Use Sigstr to unlock employee email as an owned digital channel. 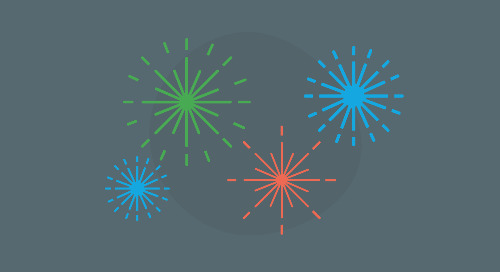 Need a source of inspiration for your company-wide email signatures? 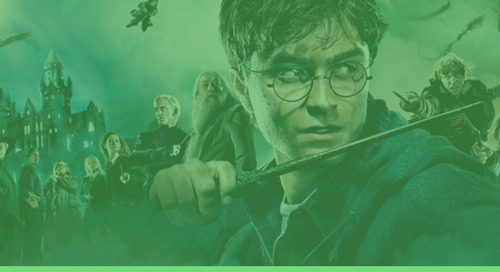 Check out these funny email signatures from the Harry Potter movie series. 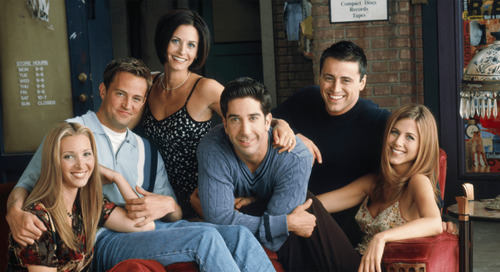 Each character from the hit TV show "Friends" was unique (and hilarious). If they sent email, they would have some pretty unique email signatures. In an effort to get into The Good Place ourselves, the Sigstr team imagined what each character's email signature would look like. Eleanor, Chidi, and even Bad Janet - check them all out here! We created an email signature for each of our favorite characters from the show Silicon Valley. Gilfoyle, Richard, Jared, and even Erlich. 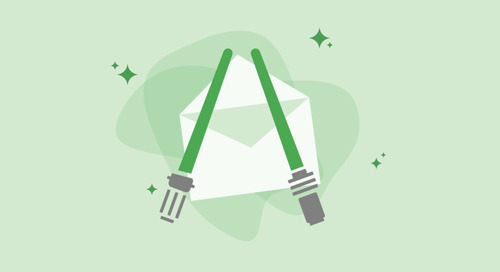 Sigstr's favorite way to pay homage to popular fictional characters is by creating their hypothetical email signatures, and Star Wars is no exception. What does a thesaurus eat for breakfast? 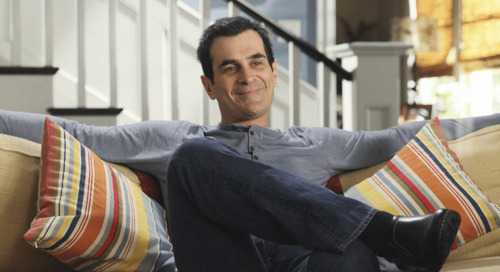 Wait for it…a […] The post If TV Show Dads Had Email Signatures appeared first on Sigstr. 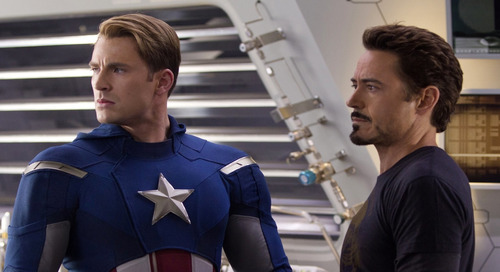 What if your favorite Marvel superheroes had their own professional email signatures? We got creative to help inspire our users on unusual uses for ESM! If Scooby Doo, Frankenstein, Dracula, or the Hocus Pocus witches had email signatures - what would they look like? 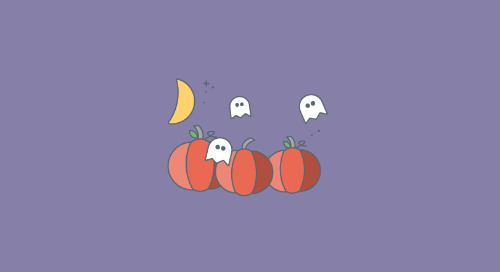 Check out this collection of Halloween-themed email signature banners. What if America's Founding Fathers had the power of email to spread the word? The Sigstr team took a stab at what those email signatures may have looked like. Learn the 15 biggest blunders we’re all guilty of making and causing ridiculously bad email signatures (and what we can do to fix them)! 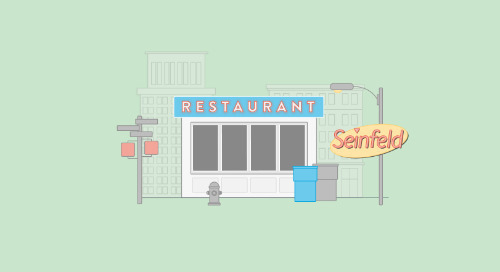 A bracket-style tournament of 64 ridiculously entertaining email signatures from your favorite TV shows, movies, and celebrities. Presented by Sigstr. 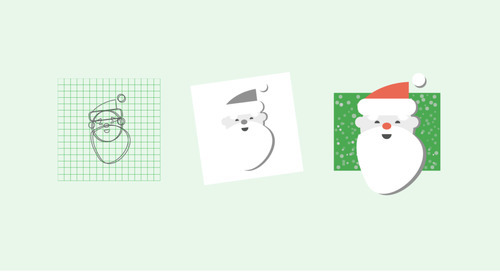 A history lesson on the evolution of Santa's brand and how might the santa claus email signature look during these different stages of his brand. 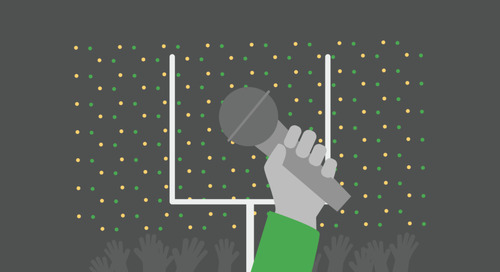 The Sigstr team honors the all-time great Super Bowl halftime performers the only way we know how - by creating their hypothetical email signatures! 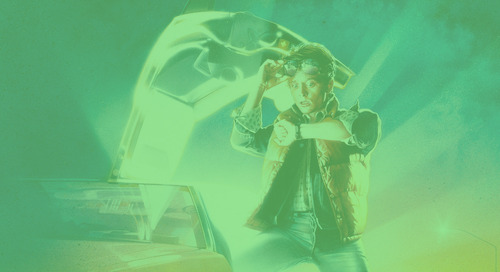 If Marty McFly sent email, he'd have a pretty cool email signature. 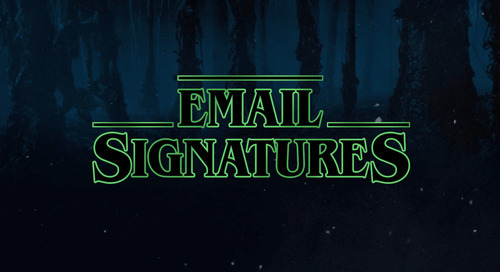 Read this fun post from Sigstr about this iconic movie and their email signatures. 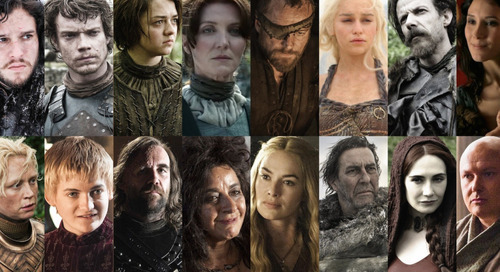 What if Game of Thrones characters had email signatures? 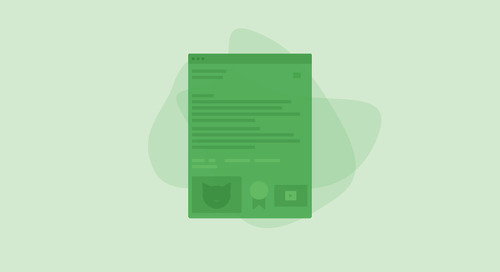 Check out Sigstr's "create email signature" option after reading!